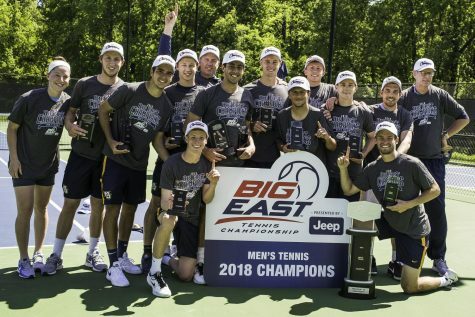 For both the Marquette men’s and women’s tennis teams the weekend began with great promise, but ended in disappointment. 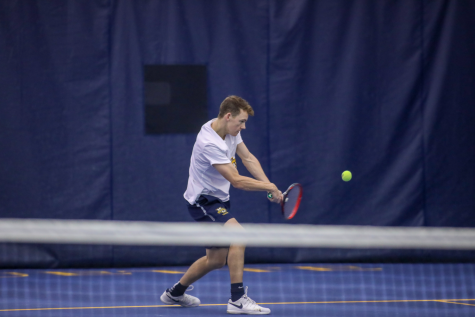 On Friday, the men’s team swept South Dakota State 7-0 and the women’s team defeated Illinois-Chicago 6-1 in home matches. 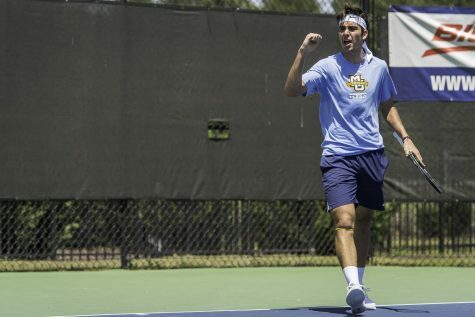 Following the match the men headed to Indiana where they fell to No. 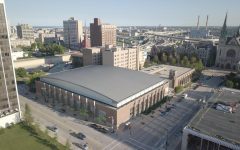 53 Indiana 4-1 Saturday and 5-0 to VCU on Sunday. 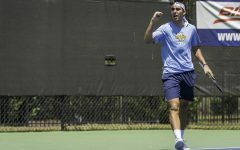 The women lost to Wisconsin, 5-2, at home Sunday. The men’s team had a hectic weekend of traveling to Indiana overnight was all part of a plan. 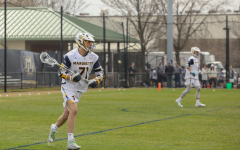 Several players dropped games early in their Friday sets, but the Golden Eagles rallied by taking advantage of their speed. After transferring from TCU this semester, freshman Greg Anderson played his first match as a Golden Eagle Friday, defeating South Dakota State’s Chuck Tang 7-5, 6-1. 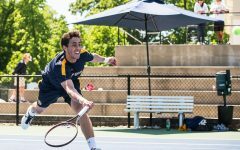 Against nationally ranked Indiana, Marquette came out strong during doubles, but were unable to secure the point. 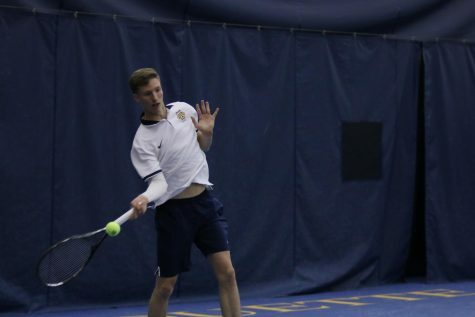 During singles play, the Golden Eagles dropped two quick matches to put themselves down three points. 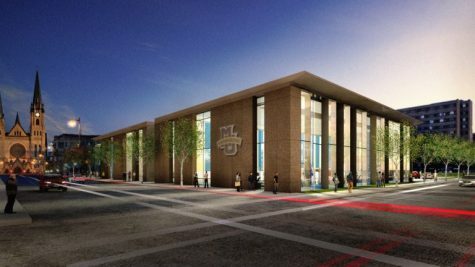 Against VCU the Golden Eagles faced a similar fate. At No. 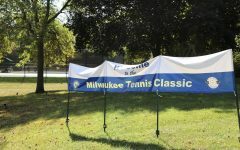 2 doubles, Mackenzie Stearns and Nick Dykema faced a match point, but ended up dropping the match 7-6. At No. 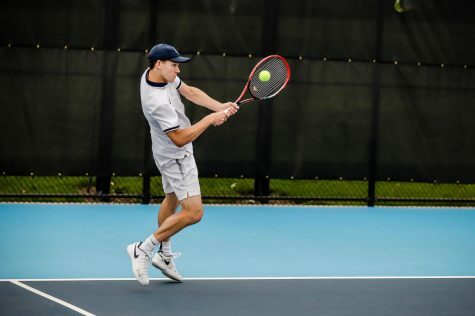 3 doubles, Kristiyan Trukov and Greg Anderson also had a match point, but were unable to secure the victory with the match ending unfinished. 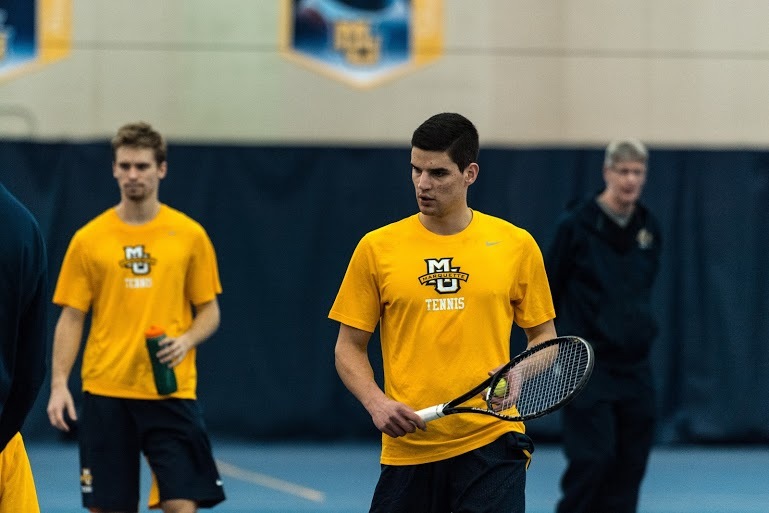 Things only got worse for Marquette in singles when Rodecap was forced to pull No. 1 singles player Daniel Fernandez from his match due to an elbow injury. 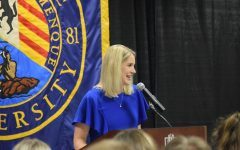 The women’s team had similar success on Friday. It jumped out to a fast start with doubles victories from duos Diana Tokar and Leoni Daems and Paula Tormos Sanchez and Aleeza Kanner. 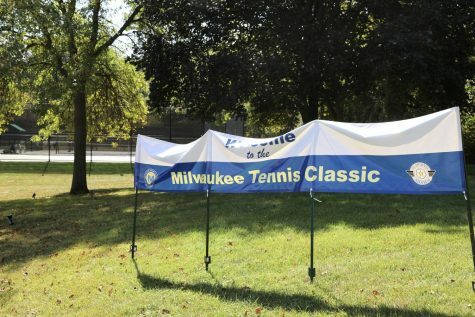 In singles Erin Gebes had a strong outing by winning her match 7-5, 6-1, while Tormos Sanchez and Tokar won their matches in dominant fashion 6-4,6-1 and 6-1, 6-0, respectively. 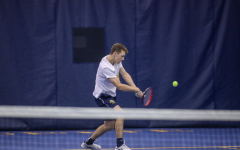 The good fortune would not continue to Sunday when the Golden Eagles welcomed in-state rivals Wisconsin to Helfaer Tennis Stadium. 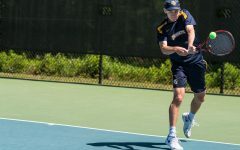 After dropping the doubles point, Marquette came out strong in singles only dropping two first sets, but the team faltered in its second sets and was unable to rediscover success in the third sets. There was a scary moment for freshman Silvia Ambrosi,o who early in the first game of her singles match dropped to the court in pain because of a rib issue that makes it difficult for her to breathe. 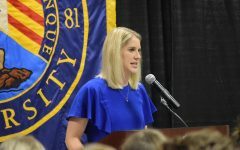 After receiving medical attention she stayed in the match, playing through noticeable pain that forced her to serve underhand. She will see a chiropractor for further treatment, but she is not expected to miss any matches. 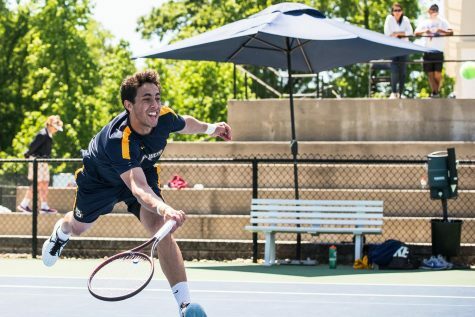 One bright spot for Marquette has been the singles play of Tormos Sanchez. Through four matches she is undefeated and has only lost 10 of the 48 games she has played. Both teams will be looking to fix their execution and make the proper adjustments to win close matches. 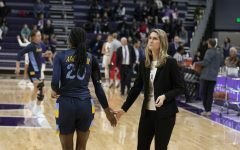 The women will be in Iowa City to take on Eastern Michigan Saturday and Iowa Sunday. 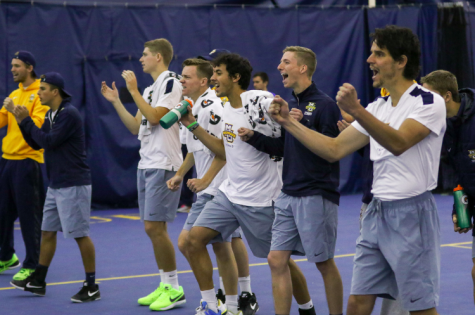 The men will travel to Florida to face Bethune-Cookman Friday and Florida Gulf Coast Saturday.